One of the ‘cries of London’ that I guess has been heard every day for nearly 400 years has been members of the public hailing a taxi. The first documented 'hackney coach'—the forerunner of the more generic 'hackney carriage'—operated in London in 1621. 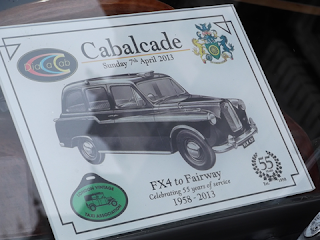 April 7th 2013 saw a cabalcade drive in convoy from Chelsea Harbour to Marble Arch. The FX4 is for me the classic Black Cab. 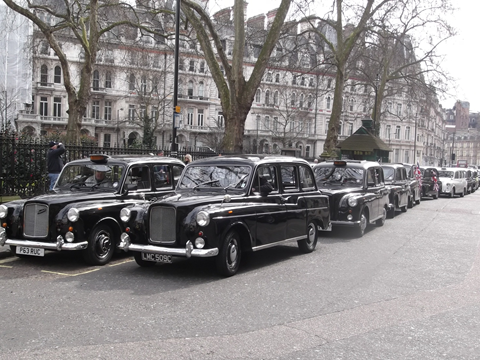 Whilst the majority are black, there is in fact no requirement for them, or indeed any other make of London taxi to be black. 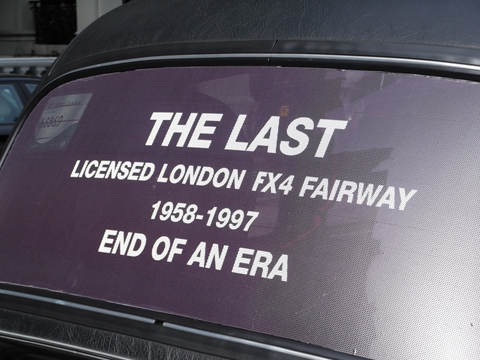 Over the years, the FX4 has been sold under a number of different makers' names. "Ply", being an abbreviation of the verb to "apply", meaning "to apply, work busily at", and in that sense "ply one's trade" was once used of any kind of selling occupation. 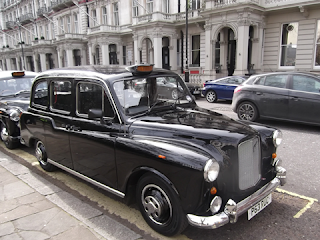 "Ply for hire" is still a technical term in the UK, used in taxi licensing regulations, etc. 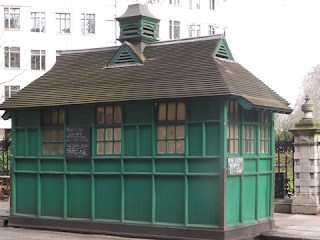 Outside the offices of Frost and Sullivan is one of those distinctive Green huts – a cabman’s shelter in Grosvenor Gardens. I laid in wait for the arrival of the cabalcade on their way to Marble Arch. Much like the various kinds of sales people such as agents, franchisers, direct employ etc. so there is in the cab trade. 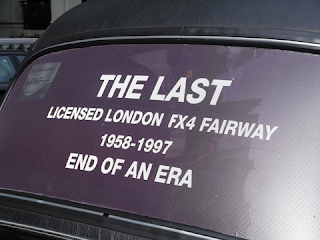 ‘Musher’s own their own cab . 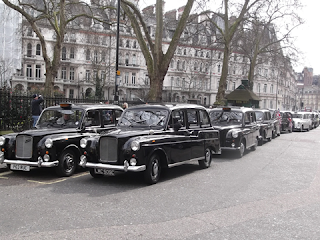 As well as all the licensing and certification and regulations cab drivers have to pass a very tough exam called the “ Knowledge”. Many black cabs have a turning circle of only 25 ft (8 m). 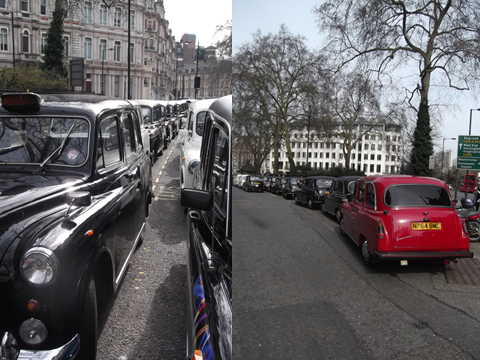 One reason for this is the road configuration of the Savoy Hotel: The hotel entrance's tight roundabout means that vehicles needed the small turning circle in order to navigate it. The cab has had many incarnations over the years in London, the FX4 merely one of many. For sure we will continue to hail them on the street, we can dial a cab and even hail them via an app. 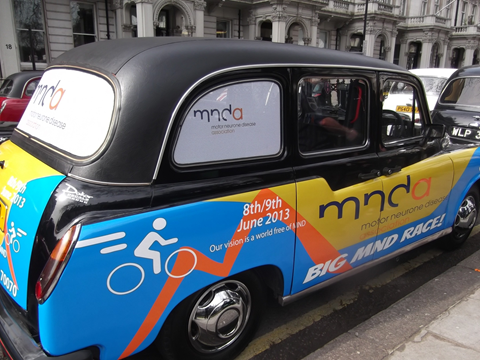 There really is no other taxi more classy than a London taxi. Add the fact that they keep this classic cars roaming the streets just adds a feeling of nostalgia for the good ol’ days for me. Hopefully they don’t keep them from plying their trade in London.